Returning to Shadow of the Colossus, here is “The Opened Way”, one of the main Colossus battle themes. Each colossi uses one of several themes, helping give it a unique feel. “The Opened Way” is one of the best of the bunch as it has one of the most memorable melodies from the soundtrack and gives a perfect soundtrack to the massive movements of the colossus coupled with the nimble motion of the hero, Wander. 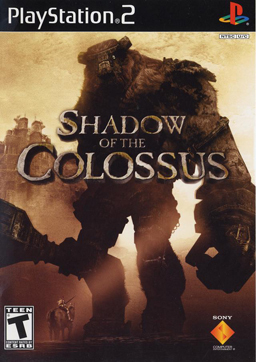 This theme is used when fighting the first colossus, as well as several others. “The Opened Way” seems a little antique, probably due primarily to the deep drums as well as the strings. The entire soundtrack is like this, feeling like a setting distant from our own. The theme has a lot of desperation, the gruesome work of fighting and brutal sword slashes, as well as a tinge of melancholy. There are three major sections, the first dominated by strings, the second with a trumpet line and flute, and the third with and excellent call and response between strings and drums. The second and third sections in particular have incredible melody while the drums have amazing volume. The overall impression is a metaphor of battle as a waltz to the death.